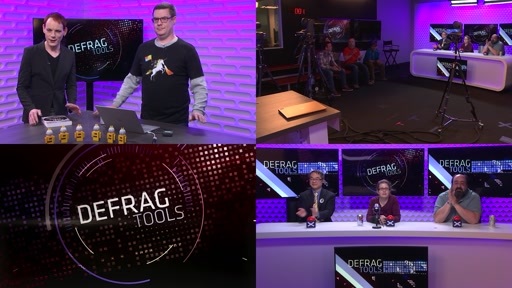 In this second part of a two part special for Defrag Tools, Larry Osterman joins Larry Larsen, Andrew Richards and Chad Beeder to celebrate Larry's 30 years at Microsoft. We continue looking around the Microsoft Archives building, reminiscing over a selection of products that Microsoft has produced over Larry's 30 year career. [08:53] - Congratulations Larry on 30yrs! 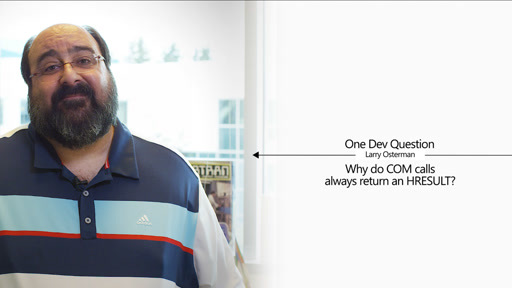 One Dev Question with Larry Osterman - Why do COM calls always return an HRESULT? One Dev Question with Larry Osterman - What is DCOM about? 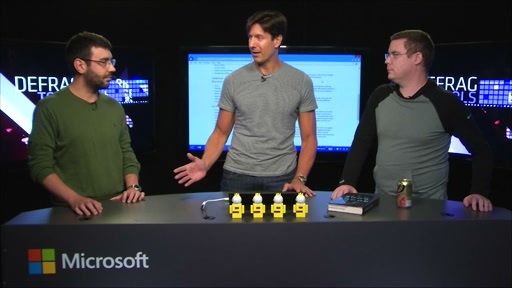 One Dev Question with Larry Osterman - Why do Win32 APIs handle error codes differently? 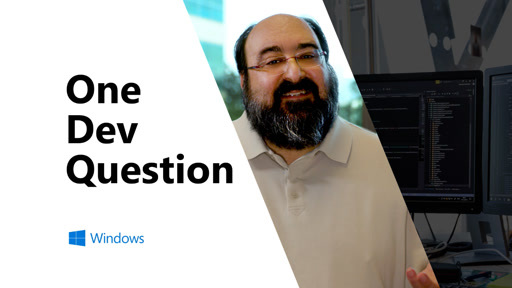 One Dev Question with Larry Osterman - What is the process of creating a Windows API? 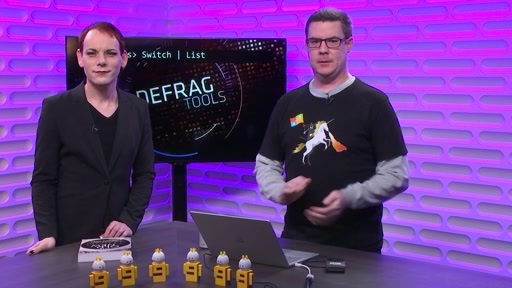 One Dev Question - What was your first interview like for Microsoft? @1:30 of the MS 386 commercial - audio cassette tape. Awesome. Customer - Trans Global Intenational Freight - TGIF - clever pun! You guys have gotta get to more Archive shows and get Bill Gates! We would love to have Bill Gates on, but I have a feeling he's pretty busy these days with eradicating malaria and polio and whatnot. Cool video, I just wanna hug Larry!! Golnaz too, but for differing reasons, must be awesome wondering the vaults every now and again... employees should have to opportunity to have a supermarket sweep in there after 25 years service. Why Andrew is using iPhone?!! At the very minimum I would expect Android or obviously Windows Phone but iPhone? @gt65345: It's a Nokia 521 (running WP 8.1). I remember the original Microsoft Mouse well, and its green buttons, and the small green programming guide (Int 33h). I keep searching yard sales looking for an original green button Microsoft Mouse!